Dubbed the Belgian capital of the megaliths, this little sandstone village of the Ardennes was once an important ritual centre for the Neolithic people. Weris was also nominated one of the most beautiful villages of Wallonia, thanks to its intact 17th and 18th-century architecture. The Neolithic site dates from the 3rd millenium B.C.E. It belongs to the Seine-Oise-Marne culture, which flourished in the Fagne-Famene region of Wallonia between 5,000 and 4,200 years before present. This Walloon equivalent of Stonehenge may not be as impressive nor draw as many tourists as stone circles of Wiltshire, but the quality of the menhirs and dolmens combined with the magic atmosphere of the Ourthe Valley and Ardennes forest make for an excellent outing during the more pleasant months of late spring and summer. The giant standing stones (menhirs) are aligned on 8 kilometres, as far as the hamlets of Oppagne (south-west), Morville, Heyd and Ozo (north-east). 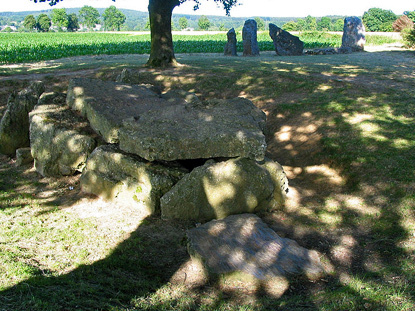 The megalithic tombs (dolmens) are found in Weris itself, right between the menhirs of Oppagne and Morville. This type of tomb is known as gallery graves. All the monuments are made out of the local puddingstone. A few place names are associated with ancient Celtic goddesses: Dana (mother goddess), Morgana (goddess of water and magic), Heina... The Celts, however, are not related to Megalithic cultures. Proto-Celtic people arrived from the Pontic Steppe in Central and Western Europe from 2,500 BCE and brought about the downfall of the Neolithic cultures associated with the megaliths (see Maps of prehistoric migrations). Actual Celtic cultures (as opposed to Proto-Celtic) did not emerge until about 1200 BCE around the Alps and only reached Belgium from 500 BCE, two thousand years after Megalithic cultures had disappeared. 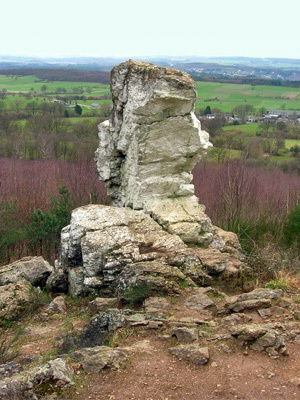 Heina Rock in Wéris' Forest. To reach Weris by public transport, you should catch a local train to Barvaux-sur-Ourthe, on the Liège-Jemelle line. The journey takes 50min from Liege, or 25min from Jemelle (Rochefort). If you are coming from Brussels, you can either take a train to Liege, or one to Luxembourg and change at Jemelle. Either way should take about 2 hours to reach Barvaux. From Barvaux, you can take a taxi or walk the 3km to Weris. There are also buses but they are very infrequent. By car, follow the indication for Barvaux-sur-Ourthe from the E411, E25 or N4. Weris is the next village to the south-east. 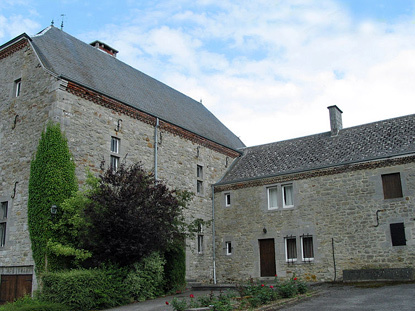 Note that a trip to Weris can easily include a visit to Durbuy, on the other side of Barvaux.